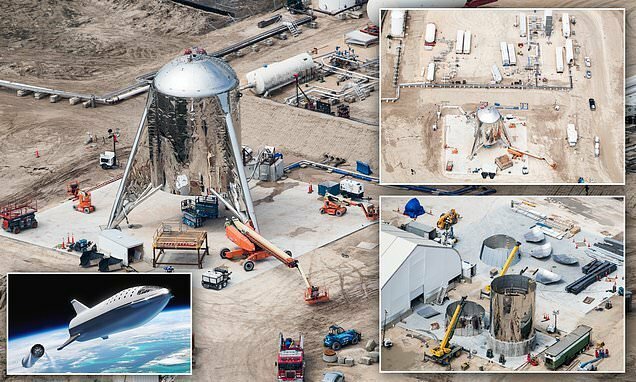 SpaceX is gearing up to conduct the first test hops of Elon Musk’s Starship prototype rocket at its Boca Chica, Texas facility. In recent days, the test site has been swarming with activity as engineers moved the gleaming spacecraft to the launch pad and installed its sole Raptor engine that packs twice the firing power of SpaceX’s older Merlin engines. 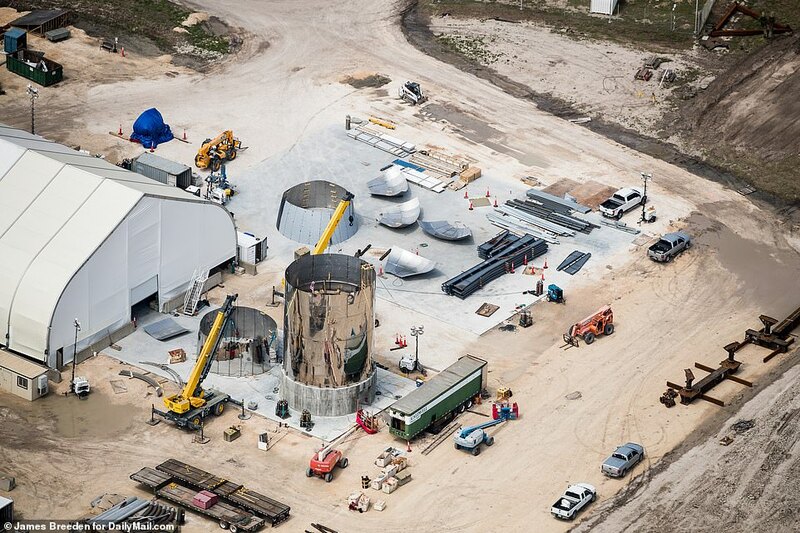 A new set of aerial images show off SpaceX’s progress in preparation for the suborbital hop tests, which were slated to take place earlier this week, but were later postponed following several days of bad weather. WHAT IS A ‘HOP’ TEST? 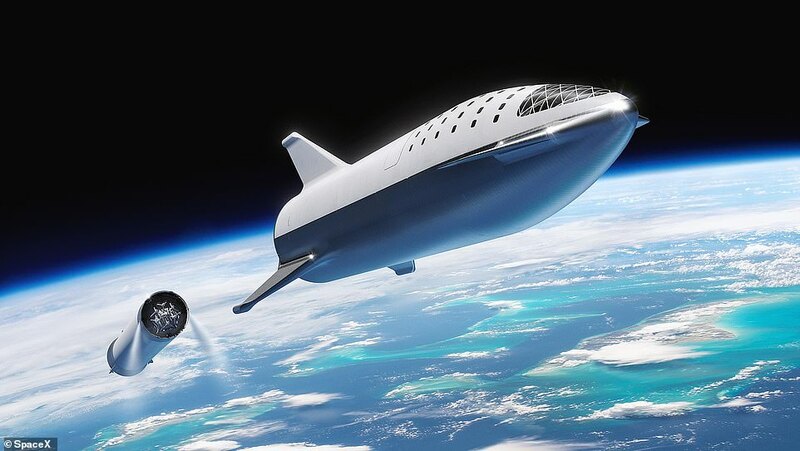 SpaceX’s Starship prototype, called the Starhopper, will undergo several tests to make sure its systems work properly. The first of these tests, called a ‘hop’ test, is simply a short static fire test. 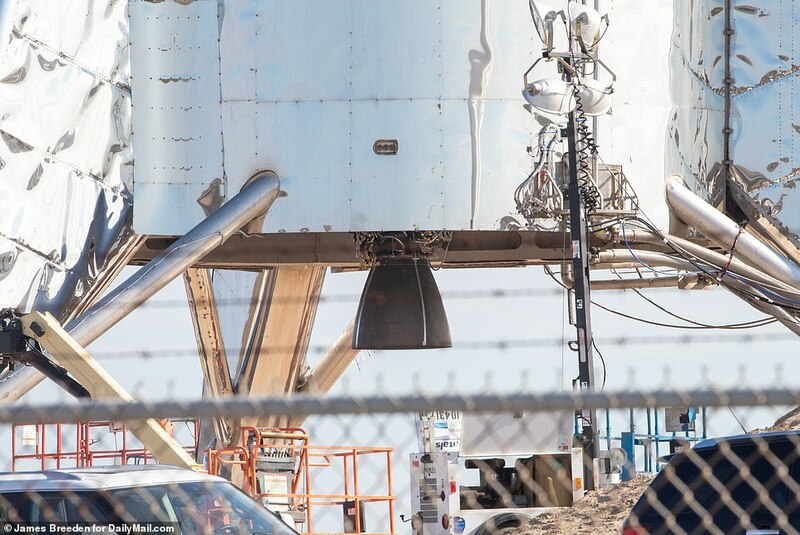 During a hop test, the Starhopper’s single Raptor engine will be fired up. However, spectators won’t be able to see much, if any, of the action. 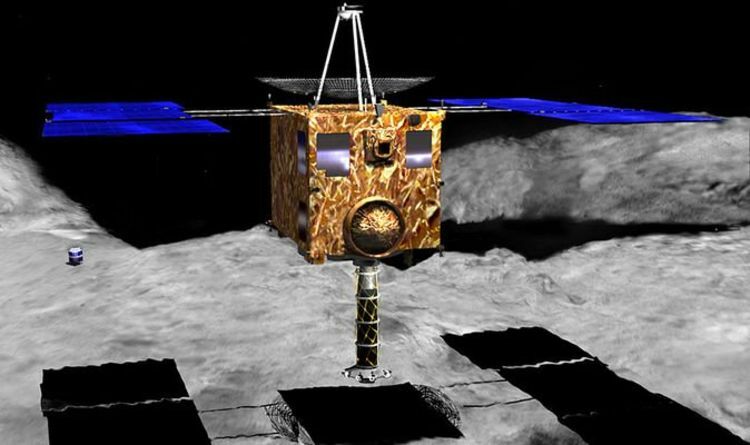 The hop involves a ‘really short’ low-altitude hovering demonstration, wherein the craft lifts just a few feet off the ground. Elon Musk’s rocket firm will also conduct ground systems testing and load it with propellants. 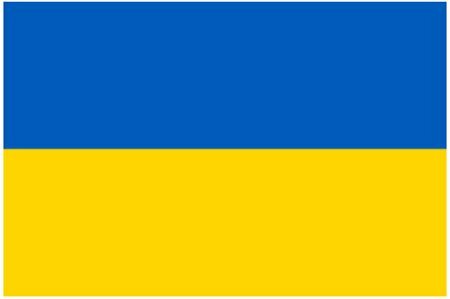 The rocket firm had eyed Wednesday, Thursday or Friday as possible dates to carry out the ‘hop’ tests. Now, the Federal Aviation Administration has alerted to flight restrictions in the area between 10:00a.m. (ET) and 7:00p.m. (ET) on March 25th, 26th and 27th. This indicates that the hop tests could take place as soon as early next week, though neither SpaceX nor Musk have posted any word on the matter. 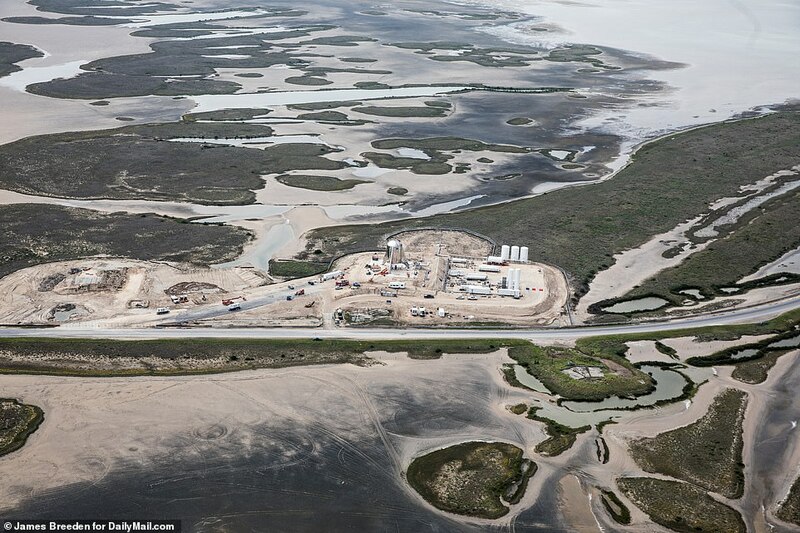 In preparation for the potential test fire, SpaceX had moved the Starhopper suborbital vehicle to a launch pad at its Boca Chica test site near Brownsville, Texas. SpaceX was expected to conduct hop tests on Thursday, with a six-hour launch window opening at 10a.m. (CST) and lasting through 4p.m. (CST). If the hop tests go according to plan, it will serve as an important baby step toward Musk’s wider plan to send humans on a mission to the moon. However, spectators both on the ground and from afar won’t be able to see much, if any, of the action during the hop test. SpaceX spokesman James Gleeson confirmed to the Brownsville Herald that Starhopper had been moved to the launch pad in preparation for tests. 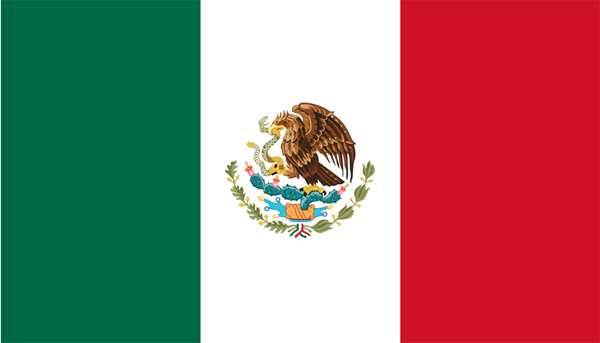 ‘SpaceX will conduct checkouts of the newly installed ground systems and perform a short static fire test in the days ahead,’ Gleeson told the Brownsville Herald. 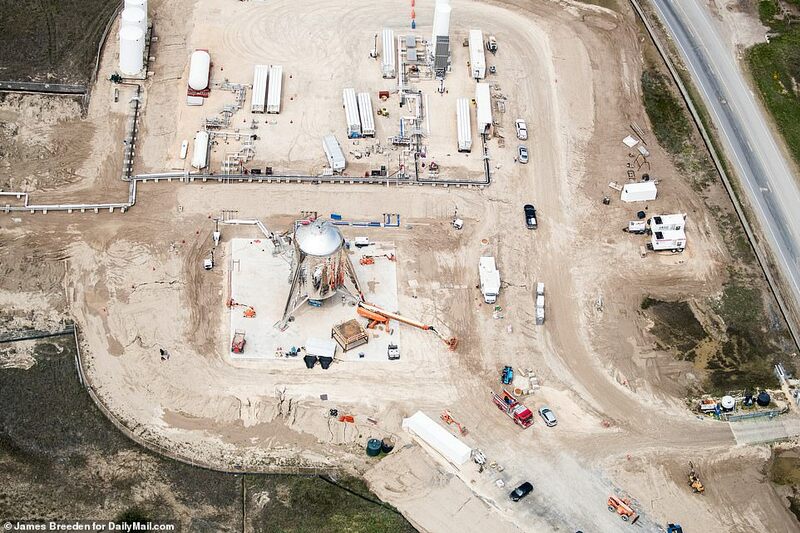 During tests, Starhopper will be pumped with liquid methane and oxygen propellant and will use one of SpaceX’s powerful Raptor engines. The prototype is expected to only lift a few feet off the ground, meaning it won’t be a true liftoff, but rather a brief hover. A livestream has been set up by SPadre.com showing a view of the Starhopper prototype at the Boca Chica site. The Brownsville Herald also reported that State Highway 4, which leads to Boca Chica Beach, is currently closed to the public in anticipation of the planned tests later today. 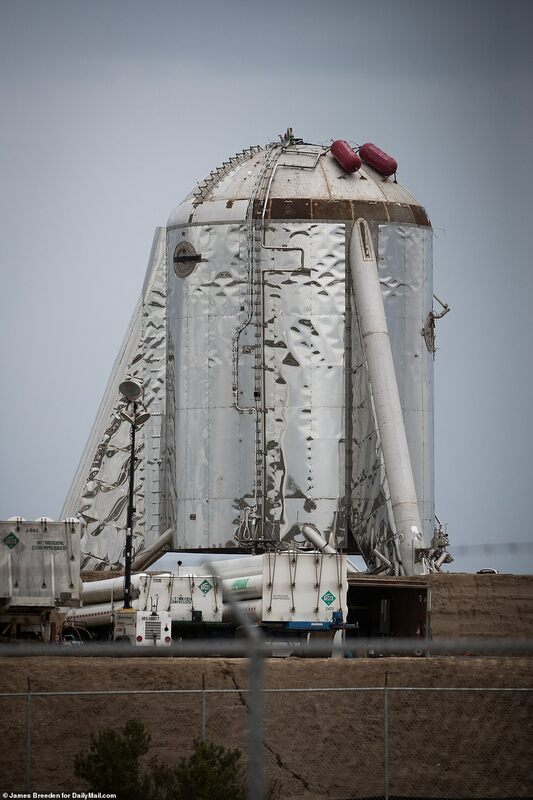 News of the hopper tests come after Musk tweeted earlier this week that Starhopper tests would ‘hopefully’ be held in the coming days. Plans for the tests were first spotted in a SpaceX flyer posted on Reddit. Musk’s tweet seemed to suggest that the firm is currently working to integrate the Starhopper and its redesigned Raptor engine, which SpaceX unveiled for the first time in February. The Starhopper test vehicle will feature one Raptor engine vs. the final Starship version, which is set to be packed with three powerful Raptor engines. As part of its first test ‘hops,’ SpaceX will ensure that the Starship prototype and its Raptor engine can takeoff and land without any issues. 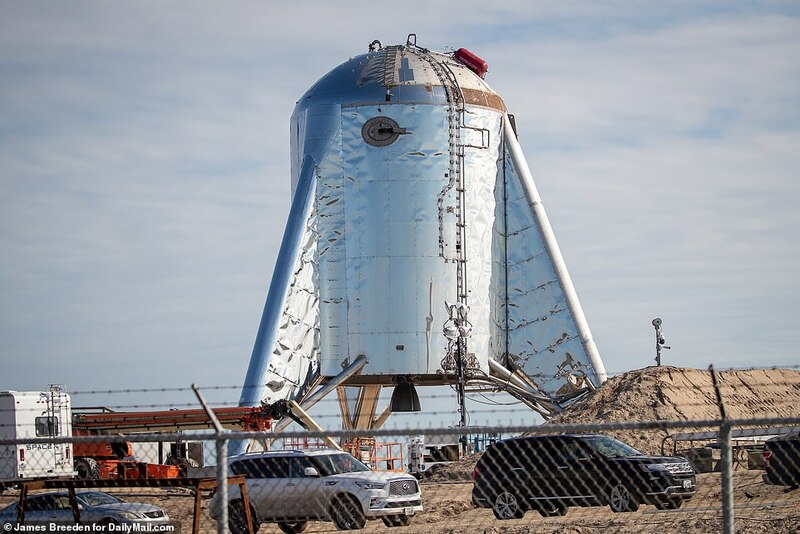 Musk added in a later tweet that the firm won’t build a new nosecone for Starhopper, after the device was damaged by a series of strong wind gusts at its Texas test site in January. 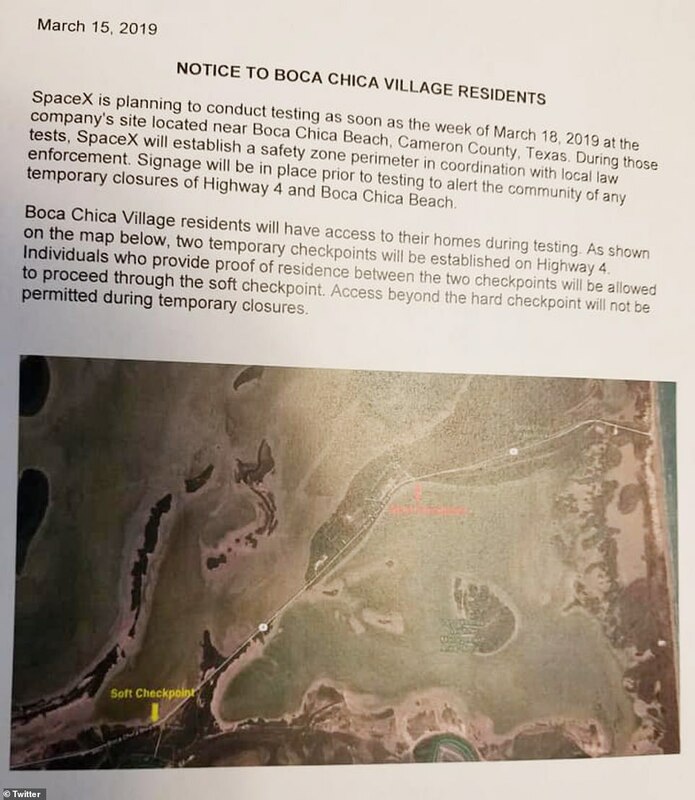 Meanwhile, residents near SpaceX’s test site in Brownsville, Texas have been seeing flyers posted by the company alerting them to upcoming tests. 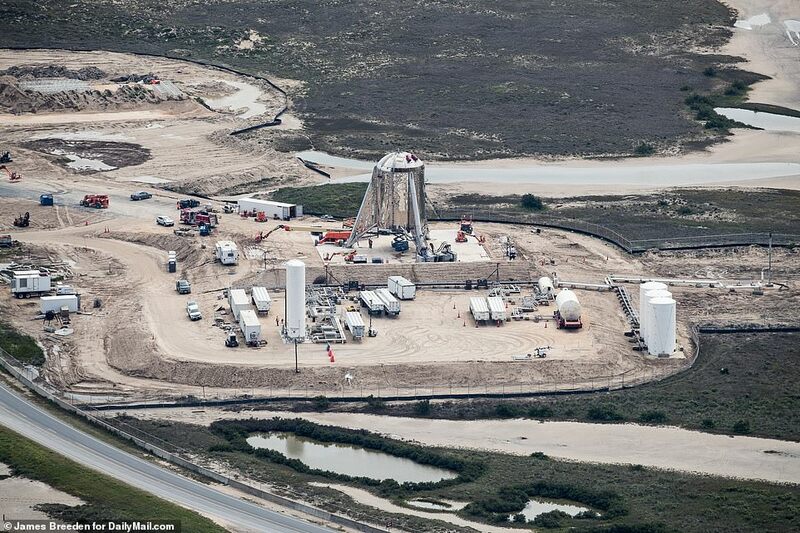 The flyer states that Starhopper tests could begin as soon as this week. ‘During those tests, SpaceX will establish a safety zone perimeter in coordination with local law enforcement,’ the flyer notes. Additionally, Musk showed off what will be a crucial element of the Starship rocket. The SpaceX CEO posted a video demonstrating tests of the rocket’s heat shield, which will prevent it from burning up upon re-entry into the Earth’s atmosphere. In doing so, the rocket is better equipped for immediate re-use. The heat shield is made up of hexagonal-shaped tiles that are designed to keep out hot gas as the rocket returns to Earth’s surface. 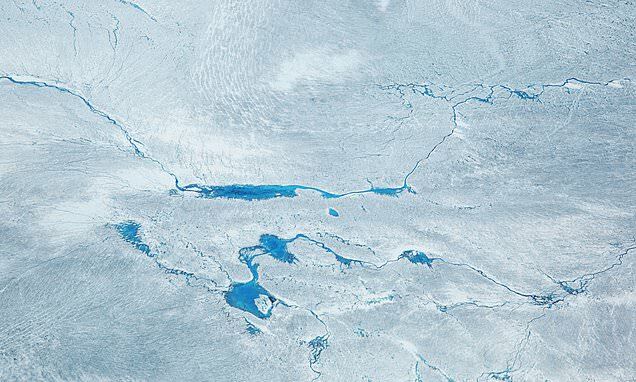 Musk said the ‘white-hot’ sections reached a maximum temperature of 1650 Kelvin or 2,500 degrees Fahrenheit. 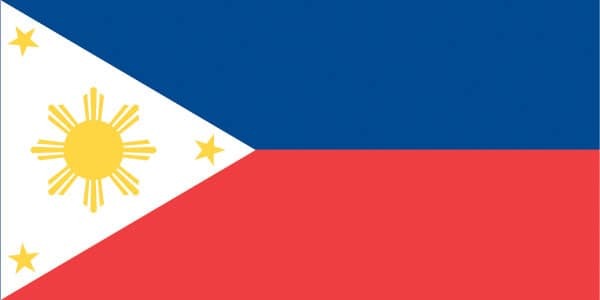 The tiles will be installed on the rocket’s ‘windward side’ and there’s ‘no shield needed on the leeward side,’ Musk added. 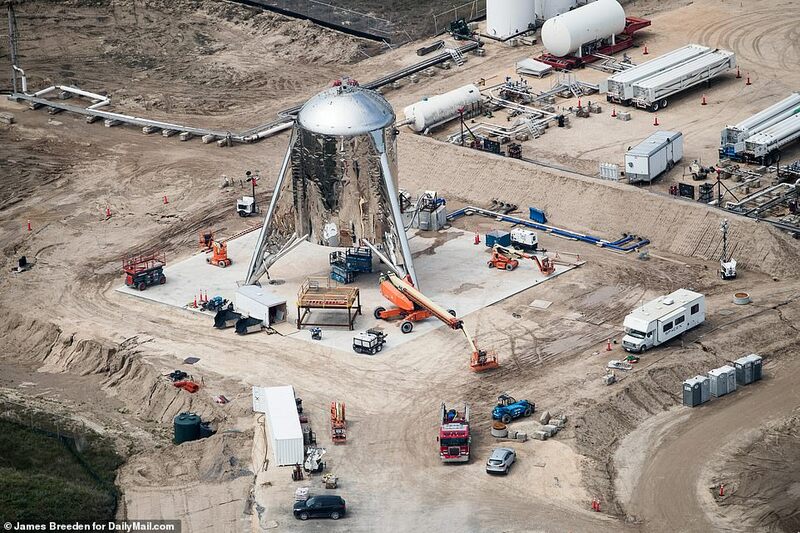 In January, the company revealed images of its fully-assembled Starship hopper test rocket. ‘This is for suborbital VTOL (vertical take-off and landing) tests,’ Musk said in a tweet last month. 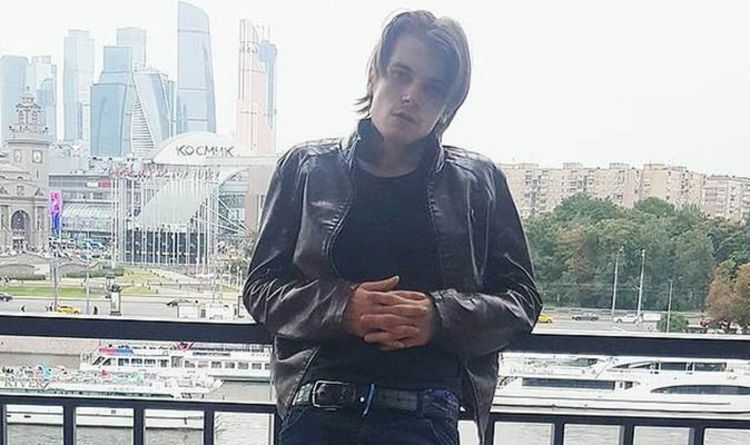 The model he shared is expected to be used for testing short launches and landings. Musk hopes to conduct a manned mission with tourists to the moon by 2024. Completing a successful mission to the moon would mark an incremental step in Musk’s other vision of traveling to Mars. WHAT IS ELON MUSK’S ‘BFR’? The BFR (Big F***ing Rocket), now known as Starship, will complete all missions and is smaller than the ones Musk announced in 2016. The SpaceX CEO said the rocket would take its first trip to the red planet in 2022, carrying only cargo, followed by a manned mission in 2024 and claimed other SpaceX’s products would be ‘cannibalised’ to pay for it. 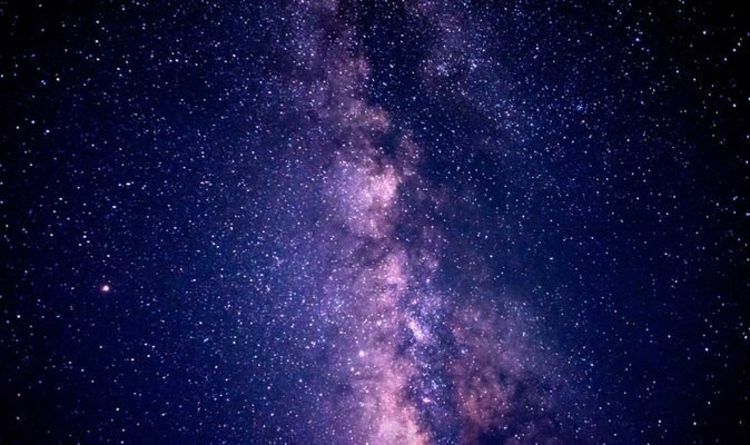 The rocket would be partially reusable and capable of flight directly from Earth to Mars. 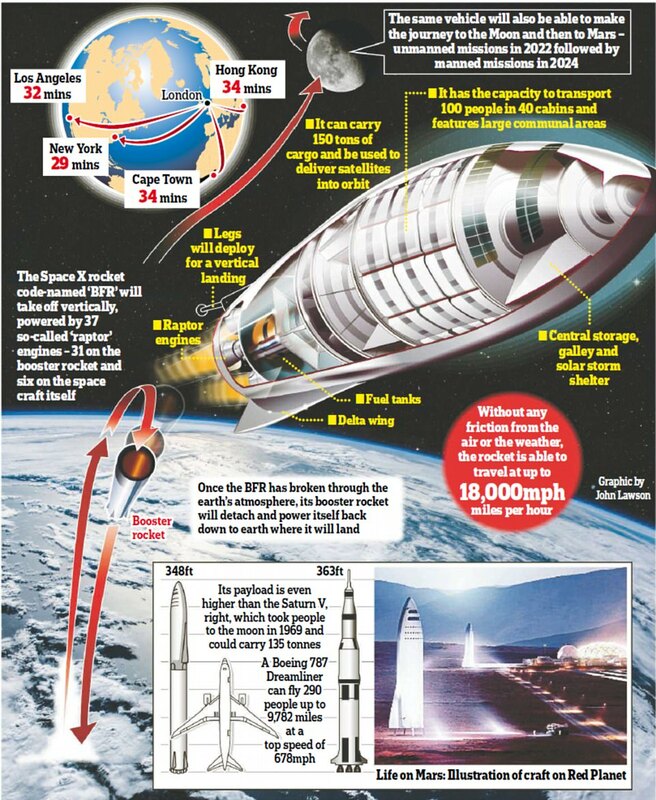 Once built, Musk believes the rocket could be used for travel on Earth – saying that passengers would be able to get anywhere in under an hour.